Our ace Vibrating Screens take up the task of separating stuffs in a meticulous way. These screens are fabricated from premium materials, keeping in mind various requirements of the industries and clients. Their unquestionable reliability and high durability makes them stand out from the lot. 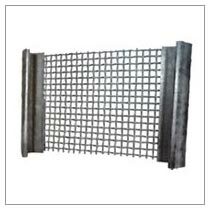 We are emerging as the promising Manufacturer and Supplier of Vibrating Screens in West Bengal. We cater to the demand for customization in the best way possible. Material : Spring Steel, Stainless Steel, Mild Steel, Copper, Brass, etc. Edge Preparation : K-1, K-2, K-3, K-4, K-5, K-6, K-7 S, U, etc. Type : Double crimp, intermediate, Dovex, lock crimp, etc. Materials : Carbon steel / Spring steel / Galvanized steel/ mild steel / Stainless steel.